Though acts of non-compliance are said to be either deliberate or borne out of sheer ignorance honed by a set of prevailing values, the advocacy for a more compliant global business environment has never been as strong as it is today. Regulatory authorities, forwarders and consignees are more than ever, subjected to firmer scrutiny across the globe – even in developing countries where non-compliant activities are globally perceived as largely acceptable, the stakes have become higher. People are under pressure to do the right thing, first time and always. The challenges of non-compliance in Freight Forwarding are many with varying levels of consequences ranging from legal, high-risk exposure to businesses, to very costly reputational damage, but our focus is on what measures can be put in place to deal with these challenges, using an inside-out organizational approach. Set the Tone at the Top: The tone at the leadership level of every organization is quite critical. The body language; open and silent expression of leaders will set the tone for what manner of orientation will be passed down to all levels of staff within the organization. If the leadership is non-compliant or preaches compliance and involves subordinates or peers in acts of non-compliance, the general tone will have been set to elicit non-compliant behaviours in the organization. If the leadership of a forwarding company elects to be compliant in dealing with regulators and consignees in line with standard procedures and global best practice, that will deter employees and regulators with such tendencies for engaging in such acts when such company is involved. Internal Compliance Program: “Tell me and I forget, teach me and I may remember, involve me and I’ll learn.” This is a popular quote by Benjamin Franklin, which supports internal compliance programs where everyone from top to bottom is involved with a keen sense of belonging towards the one big goal – compliance! 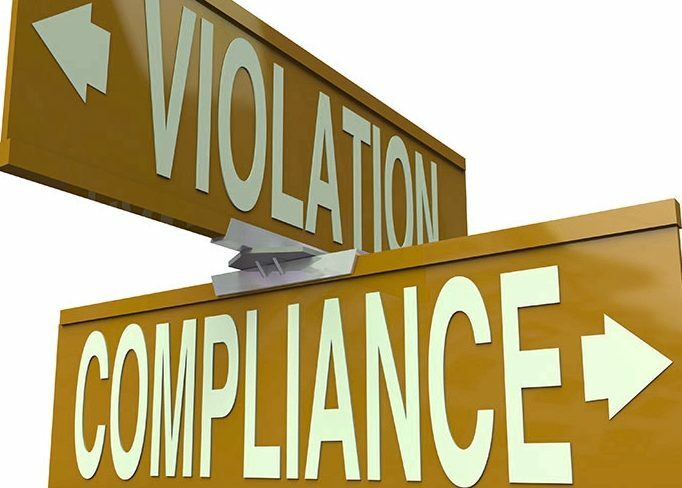 Internal Compliance programs support internal control measures required for monitoring internal compliance in Freight Forwarding. This is about educating employees on best practice; advocacy for regulatory compliance and strategies that support a sustainable culture of compliance throughout the organization. Gather and Share Information: Information is power! That is why Forwarders must constantly engage regulators and stakeholders across the globe in order to stay abreast of regulatory changes, expectations and standard practices. It doesn’t stop there. Information gathered must be shared with employees, customers, partners and vendors, so that everyone can stay on track because ignorance to regulatory requirements is inexcusable. Compliance is a standard business practice all over the world. It saves time, money, resources and helps to build trust among stakeholders in the Freight Forwarding and other related industries. It’s in a bid to enforce it that several laws like the UN Convention Against Corruption (2003); Foreign Corrupt Practices Act (US: 1977); Bribery Act (U.K:2010) and many other related laws across the globe were promulgated. That is why Fortune Global has taken its commitment to 100% compliance beyond the organizational level and has elected to help promote a more compliant business environment in Nigeria and beyond, having founded its business on compliance and transparency. This advocacy is premised on the knowledge that it costs more to be quiet and do nothing than to invest its resources towards advancing this noble cause.